Barns are the enduring structures of Americana: designed for functionality, beauty and durability they exhibit the integrity of natural materials and capture the best traits of the human experience. Timber frame vintage and replica barns capture our heritage in a way no other structure can. Barns are special working buildings; they are homes for beloved animals, shelters for valuable tools and work areas for ag and other interests. Carl Santos Construction has been building and restoring barns of historic design for more than thirty years. If you like, you can have a brand new structure that looks like it’s been gracing the land for more than 100 years. Inside this historic look you can have every convenience along with the most modern energy efficient materials — your space will be designed for maximum comfort. Hand crafted structures that provide a sense of place are not forgotten — a few craftsmen still know how to use time-honored methods. Combined with modern materials Carl Santos creates exceptional buildings that will bring you back in time with a look and feel that exudes character and warmth. 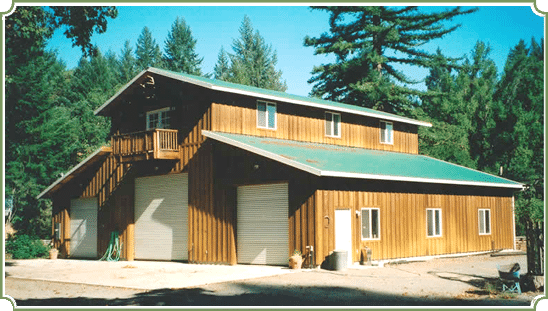 If a vintage or replica barn has been on your mind for your North Bay property, you owe it to yourself to have a consultation with a master barn builder, Carl Santos.